The 2020 census is mired in challenges that could shortchange the official count by 1.5 million children younger than age 5, a recent report cautions. The Casey Foundation’s 2018 KIDS COUNT Data Book warns that this discrepancy would put hundreds of millions of federal dollars at risk, under-funding programs that are critical for family stability and opportunity. The census mandates that “everyone be counted, only once, in the right place.” In turn, those counts drive funding allocations for many federally funded programs and subsidies that support young children’s healthy development. But recent changes to the way that census data are collected threaten an accurate count. An inaccurate count not only endangers children’s health and well-being. It also means that the children most dependent upon and in need of the services subsidized by federally funded programs miss out on dollars that support infrastructure and programs promoting the foundations that foster success later in life — not the least of which is access to early education. This wouldn’t be the first time that the under-counting of young children entered the census process. Under-counting is a problem often associated with certain groups and geography — children who may be homeless, the 25 percent of children living in hard-to-reach places and immigrant families who may fear being targeted. For example, it is estimated that the 2010 census under-counted more than one million young children, which led to the federal government failing to allocate up to $880 billion, including funds associated with the Supplemental Nutrition Assistance Program and the Head Start Early Childhood Education program. But the 2020 census stands to amplify the problem of under-counting in very significant ways. In addition to the perennial challenges we’ve described above, now, for the first time ever, the 2020 census will be online, demanding that families have access to technology and are educated about the process and the use of the online platform. The census will also, for the first time in 70 years, include a question about citizenship, which may lead to non-responses due to fears of deportation. The looming discrepancies in 2020 could put hundreds of millions of federal dollars at risk and, in doing so, under-fund programs that are critical for children’s learning and development, as well as their health and well-being. These include vital early education programs. We know that high-quality preschool programs for children who are 3 and 4 years old play a critical role in laying the foundation for health, well-being and academic success. Even as federally funded programs, such as Head Start, expand with the support of government dollars, many children living in low-income families are still left out as the demand for Head Start has exceeded its expansion in many of communities. The under-counting in the census only exacerbates this already troubling situation. In the area of early education, the under-counting of young children in the census may have yet another source as well. In our view, the under-counting is also likely, in part, because so many young children, particularly those from low-income families, are in care settings that go uncounted — such as unlicensed family child-care homes, relative and non-relative care, as well as combinations of these and others that are not licensed and tend to go under the radar. We’ve designed a study, the Early Learning Study @ Harvard (or ELS@H), that is structured to capture the early education and care experiences of a large, representative sample of 3- and 4-year-old children, across all types — informal and formal — and to link those experiences to their learning and development into and through elementary school. What’s critical is that we started with a household survey, knocking on over 90,000 doors, to find and recruit into our sample children who are representative of not only state demographics, but also the range of education and care types that children in our state participate in, including those informal, unlicensed settings that we know are central to many children’s early experiences. Finding these children and including them in the next generation of research in early education is essential to fully understanding the landscape of young children’s experiences, and the impact of these experiences on their success in the next stage of schooling. To date, with the focus of large-scale research on formal arrangements — public preschool and center-based education and care — we have only partial information to inform our policy and funding priorities. What have we learned so far from our household survey? Our initial findings tell us that about a quarter of Massachusetts’ 3- and 4-year-olds are enrolled in the kind of informal settings we’ve described above, that 3-year-olds are more likely than 4-year-olds to be in informal arrangements, and that children from high-poverty communities are more likely to be in the care of their parent(s) rather than in formal or informal arrangements. These patterns underscore the importance of carefully documenting the entire landscape of young children’s early experiences, and suggest a potential gap in access to early education and care in low-income communities — one likely to be exacerbated by under-counting children. We recommend a united and concerted effort across states to invest in finding, counting and understanding the experiences of all young children. Only then will we be set up to act on their behalf with responsive, developmentally appropriate and high-quality early education experiences that fit families’ needs, that ultimately can be scaled and made accessible to all children. 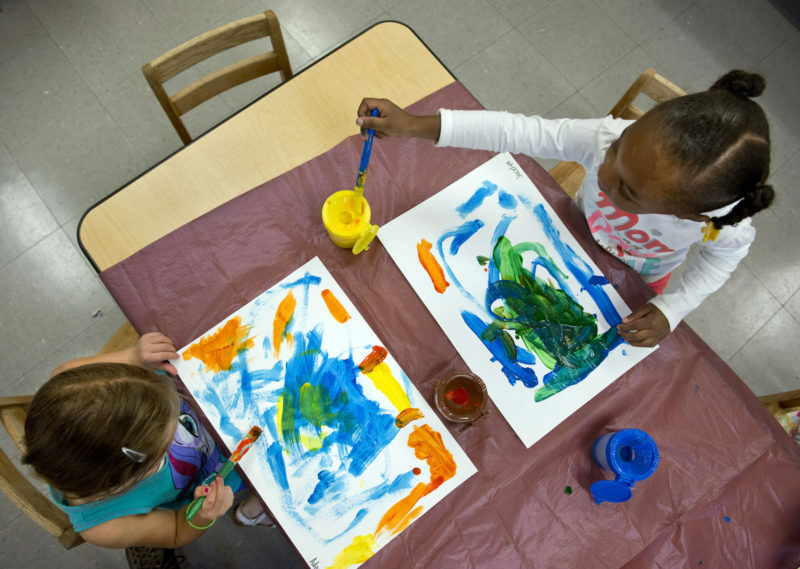 This story on early childhood education was produced by The Hechinger Report, a nonprofit, independent news organization focused on inequality and innovation in education. Sign up for our newsletter. 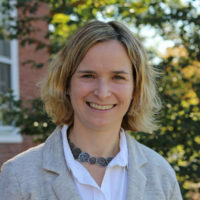 Nonie Lesaux is academic dean, Juliana W. and William Foss Thompson Professor of Education and Society at the Harvard Graduate School of Education and faculty co-director of the school’s Saul Zaentz Early Education Initiative. 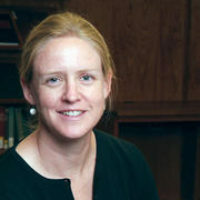 Stephanie Jones is a professor of education at the Harvard Graduate School of Education and faculty co-director of the school’s Saul Zaentz Early Education Initiative.